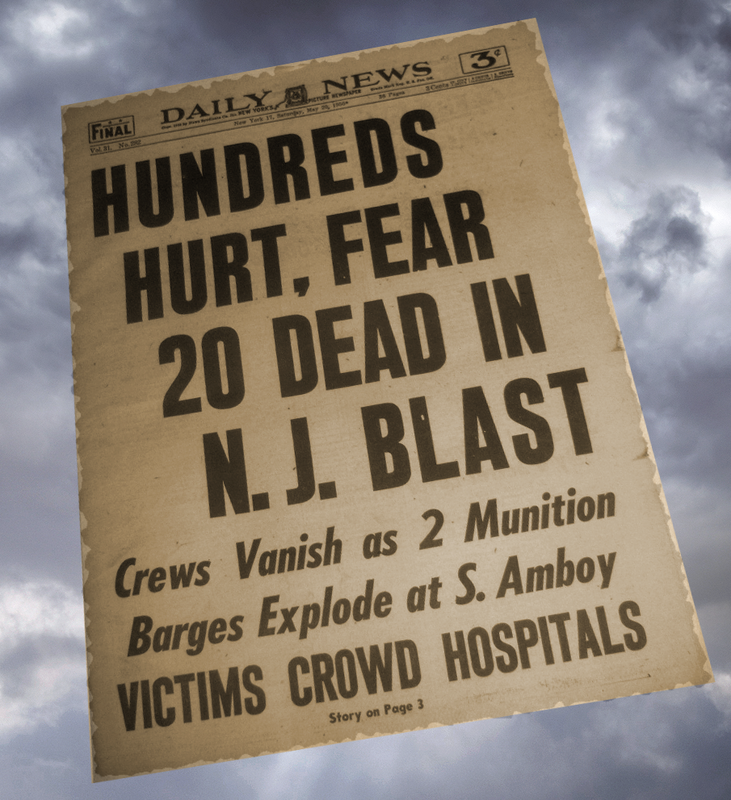 Thirty-one workers are killed and more than 350 others are injured when ammunition and explosives being loaded without a permit onto barge explode at the Pennsylvania Railroad piers on the Raritan River in South Amboy in what would be one of New Jersey’s worst disasters. The force of the blast was felt 30 miles away. 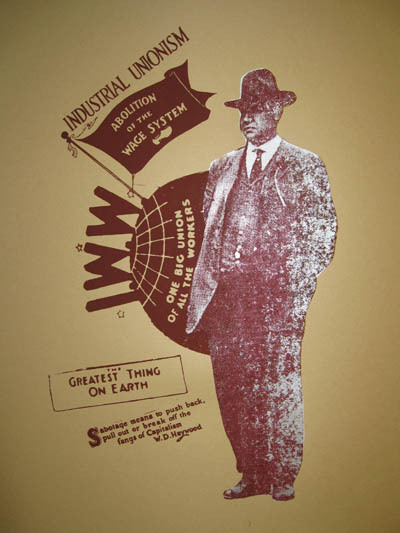 William “Big Bill” Haywood – founding member of the Industrial Workers of the World, member of the Executive Committee of the Socialist Party of America, secretary of the Western Federation of Miners, and an advocate of industrial unionism – dies in the Soviet Union where he had fled after having been found guilty and sentenced to 20 years in prison under the Espionage Act of 1917. 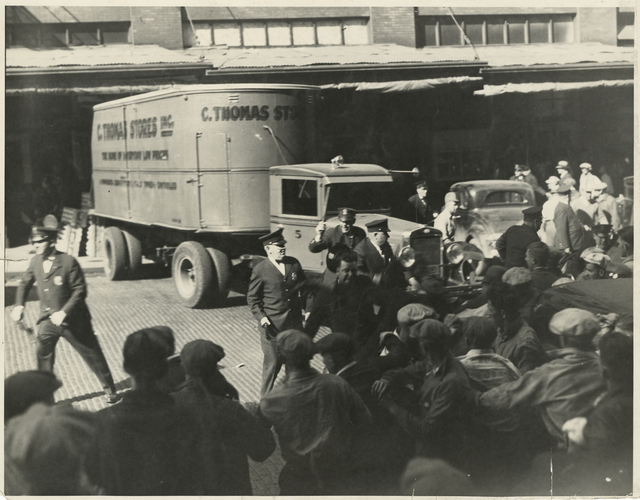 When employers refuse to recognize their union, members of the Minneapolis General Drivers and Helpers Union Local 574 of the International Brotherhood of Teamsters go on strike, bringing trucking operations in the city to a halt. 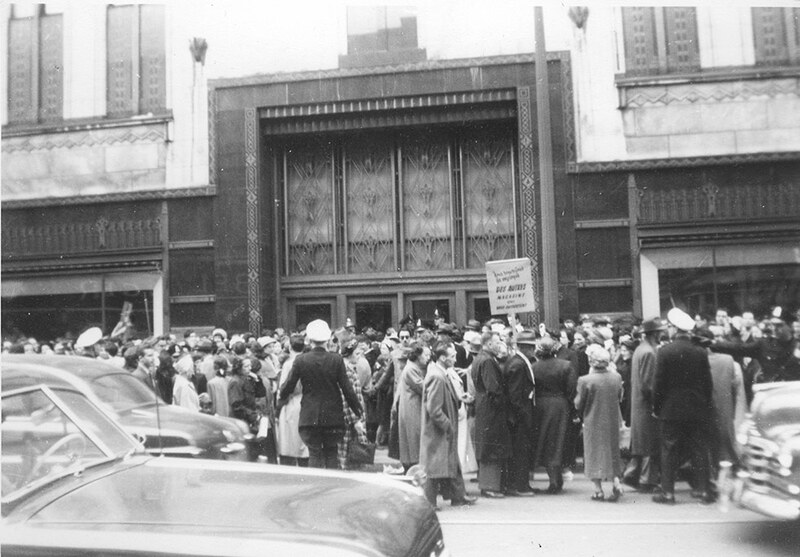 Despite a concerted and violent effort by employers, the police, and military, the strike ended successfully and was a turning point in Minneapolis labor history. 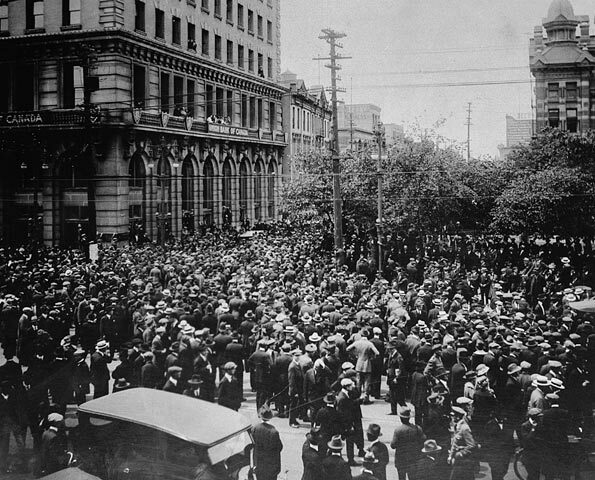 A general strike called by the Winnipeg Trades and Labour Council brings out 30,000 workers – half of whom were not even union members – in support of the city’s building and metal trade workers, on strike over wages and working conditions. For six weeks, the city came to a halt. 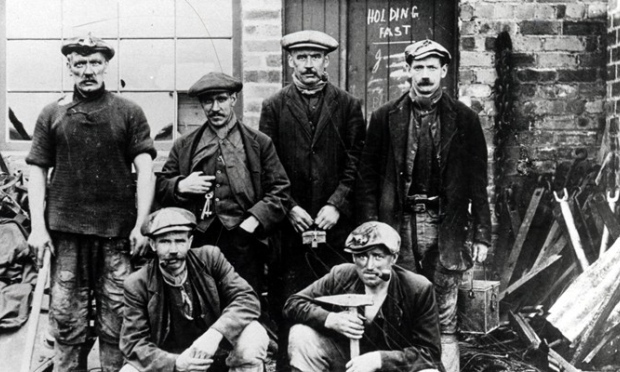 A nine-day general strike called by the Trades Union Congress (TUC) begins in the United Kingdom in support of nearly one million locked out coal miners who refused to accept a 13.5% pay cut. Millions of workers stood in solidarity with the miners. 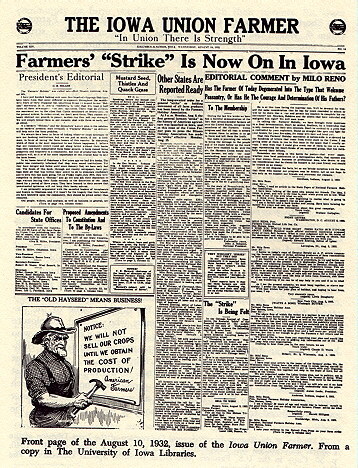 The National Farmers’ Holiday Association (FHA) is founded by Milo Reno, former president of the Iowa Farmers’ Union. The FHA fought foreclosures, sometimes by blocking the roads and physically preventing a sheriff from selling a farmer’s home and land. Other times, they held penny auctions, where everyone refused to bid more than a few pennies for the farm. The farm would then be given back to its original owner with no debt and the bank would only be a few cents richer. 1,200 retail employees – most of them women – begin a strike at Dupuis Frères, a major department store in Montréal, Canada, when negotiations with management reach a standstill nearly two years after trying to get a first contract. The strike lasted for three months until the store’s manager was replaced with someone willing to negotiate with the union. Happy International Workers’ Day! 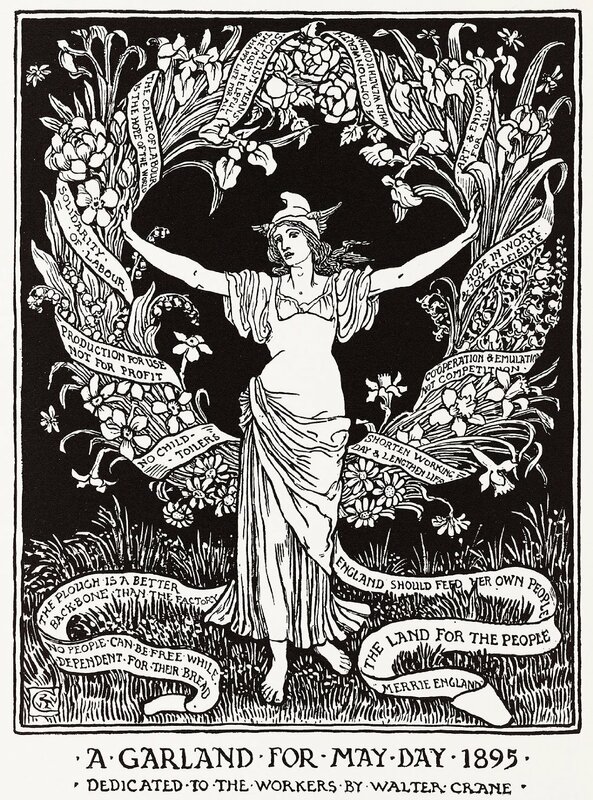 May Day is celebrated around the world as a day of international working class solidarity and is a national public holiday in more than 80 countries. The date was chosen by the Socialist International Congress (the Second International) in 1889 to commemorate the Haymarket incident in Chicago.